Please, take some time to look around and learn about our parish. If you wish to know more about our faith and the Orthodox Church, please visit the section "Our Faith." 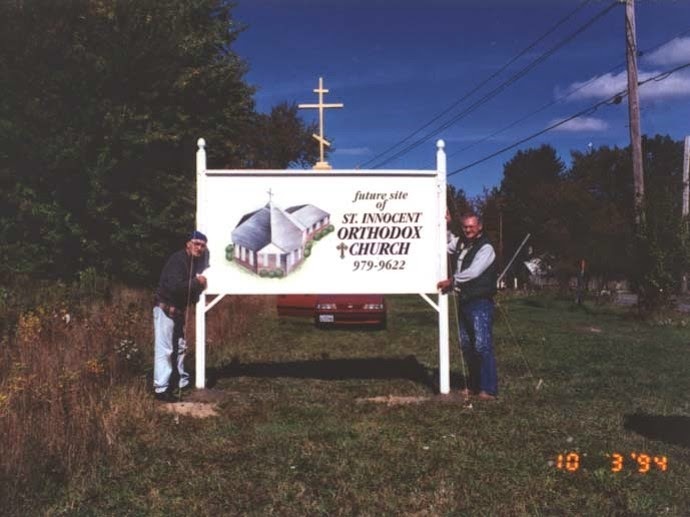 St Innocent Orthodox Church is a warm and friendly Christian community located in Olmsted Falls. Everybody is welcome to come and worship with us and join us for fellowship after Divine Liturgy on Sunday. The life of our parish revolves around worship, ministry, and fellowship. We follow a rich liturgical schedule, we serve our neighbor and the local community through a variety of ministries, and we enjoy Christian fellowship through numerous activities and events. At St Innocent we are blessed to have many young parishioners and that is why much attention is placed on Church school, retreats, activities for our children and youth. ALL LITURGICAL SERVICES ARE IN ENGLISH. *Our Church building, hall, bathrooms are all handicap accessible. 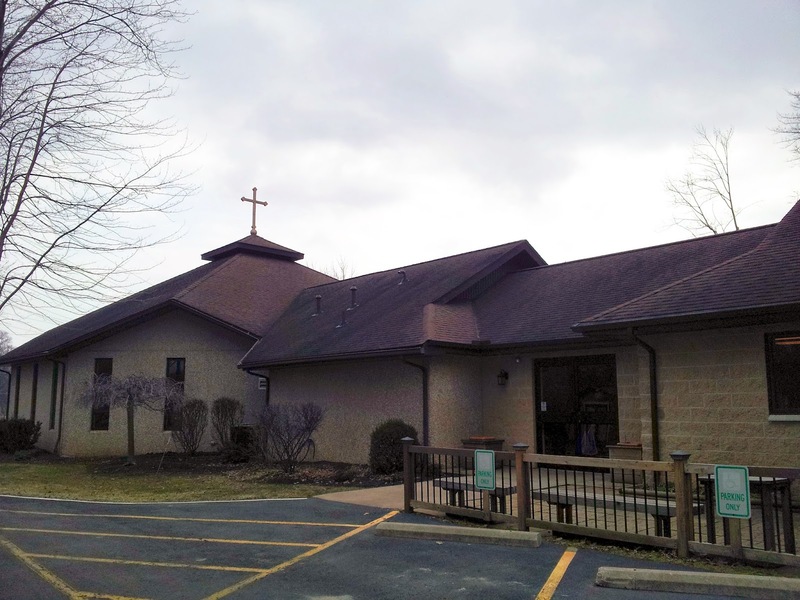 In the early 1980's the Cleveland Deanery of the Diocese of the Midwest began looking to establish a new mission parish in western part of Cuyahoga County. Fr. Basil Stoyka, who was Dean at the time, along with Fr. Thomas Mueller, who was serving at St Nicholas Church, Mentor, guided the effort. 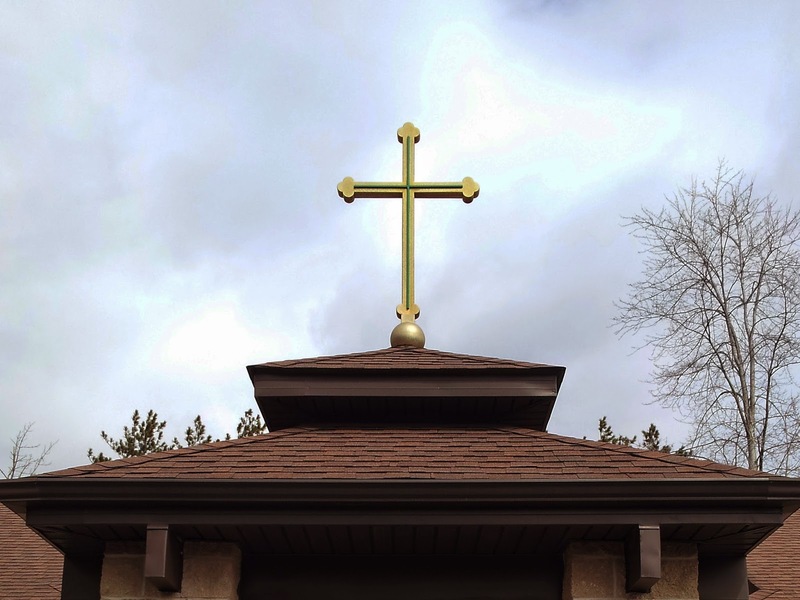 They wanted to establish a parish where services would be held in English, where all Orthodox – regardless of ethnic background – could practice the Faith together, and where non-Orthodox would be welcome. 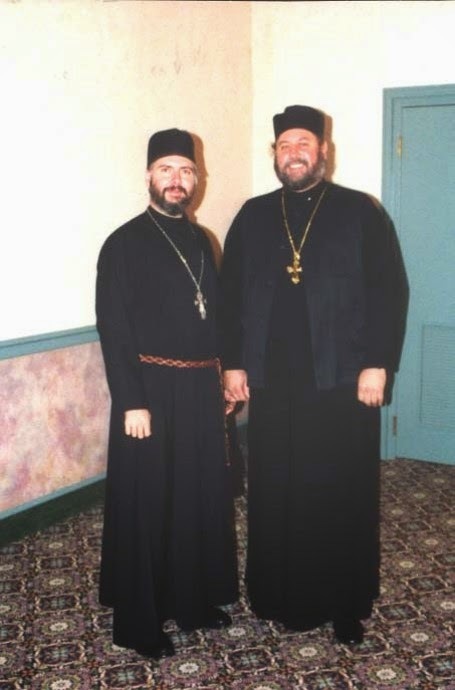 A meeting was held on 21 September 1983, which a number of Orthodox Christians attended, and plans for the new mission were laid out. Services began in October, 1983, a biweekly Vespers service meeting in the community room at Great Northern Mall in North Olmsted. Over the next few months, the founding members established committees to seek further growth and direction for the new mission. During this time, Fr. Basil Stoyka named St. Innocent, Evangelizer of the Aleuts and Apostle to America, as the patron of the new mission. 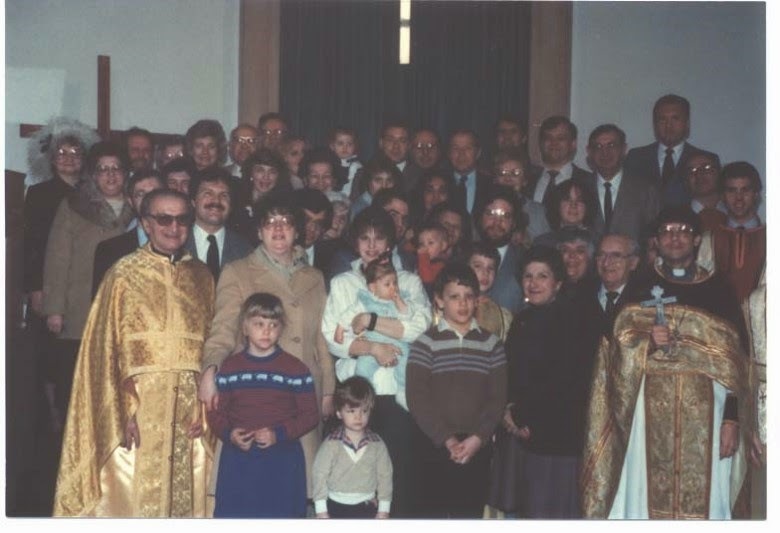 On 20 February 1984, His Grace, Boris, Bishop of Chicago, formally blessed the establishment of the new mission under the patronage of St Innocent. He mandated that the mission offer all its services in English and to reach out, in pan-Orthodox fashion, to all. 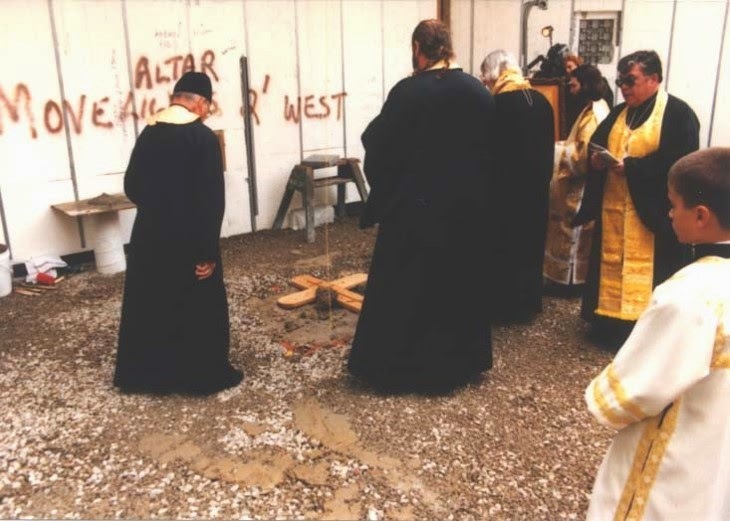 His mandate reflected the aims of the mission from the beginning: to establish an English-language, pan-Orthodox parish which would provide a full liturgical life and emphasize ongoing mission in the area. 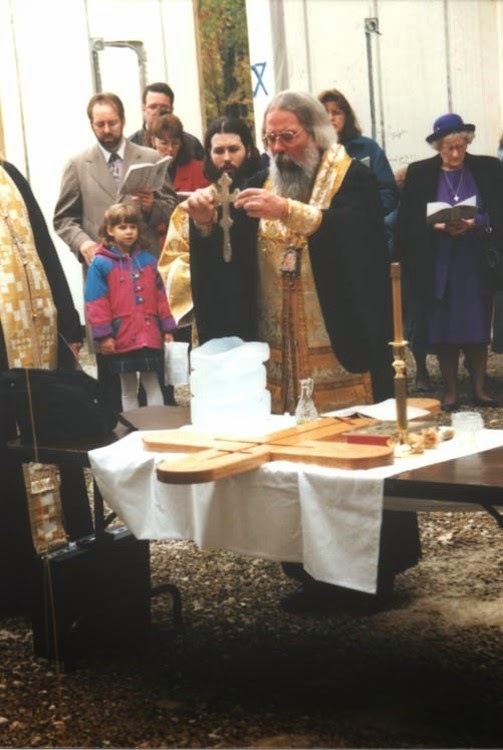 On 11 March 1984, the Sunday of Orthodoxy, the mission moved into a rented chapel on Hilliard Blvd in Westlake. These facilities were to be St Innocent’s home for the next eleven years. 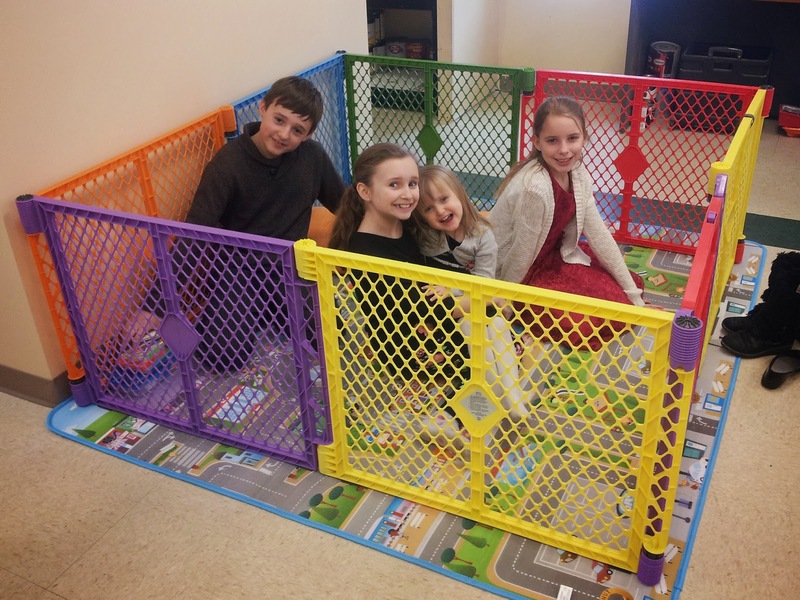 A church school program for both children and adults was promptly set up. During Great Lent of that year, Frs. 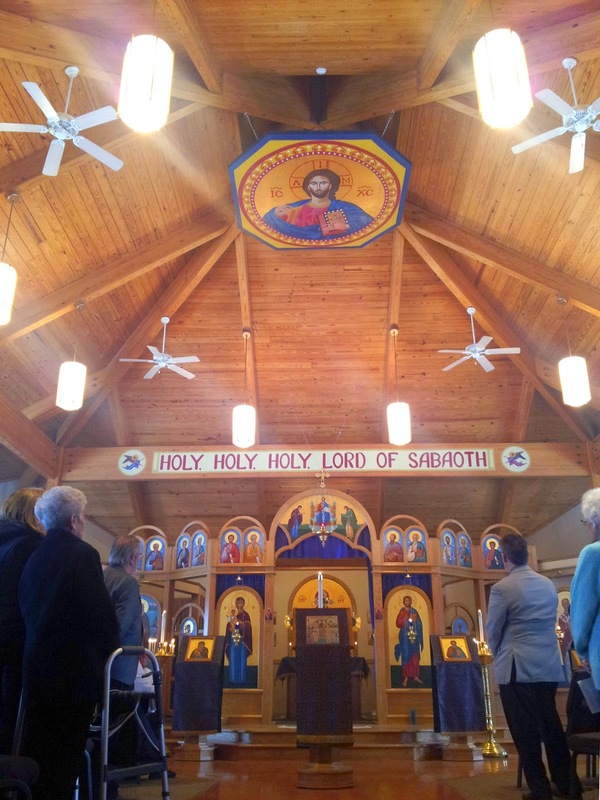 Basil Stoyka, Thomas Mueller, and Lawrence Cassati served a regular cycle of Presanctified Liturgies and Holy Week services. 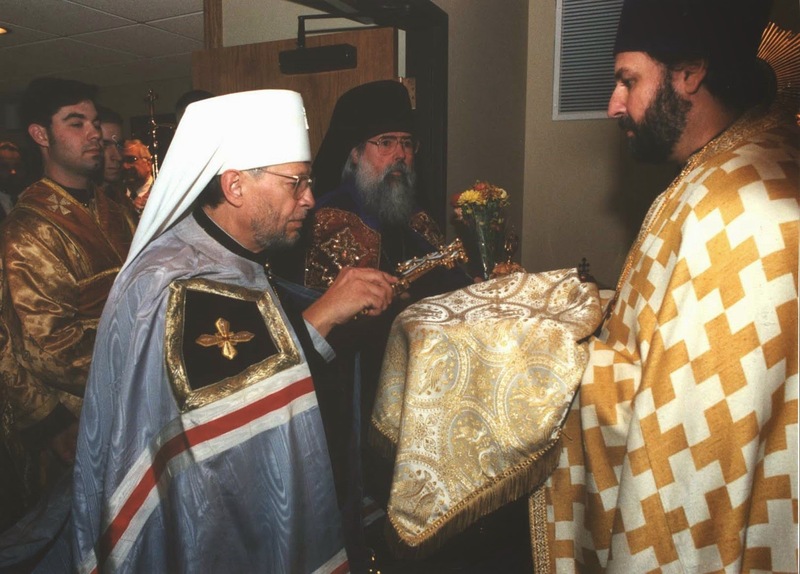 At the Paschal service, both the Greek practice of distributing red eggs and the Russian practice of blessing Pascha baskets were honored (to this day, St. Innocent strives to enrich itself with the practices of many ethnic traditions). In its earliest years, Fr. Peter Lipovan served the mission, with the help of a retired Priest, Fr. Radovan Milkovich. Fr. Steven Bobulsky was the first regularly-assigned Priest, though only briefly. The retired Fr Vasile Hategan then served the parish until Bishop Boris ordained Fr. Thomas Brown at St. Innocent to serve us. Fr. Thomas was with for us three years. After he was transferred out of state, Fr. Vasile Hategan again took care of the mission until Fr. John Zdinak was assigned. Fr. John served St. Innocent for seven years. He improved the liturgical life of the mission and oversaw a lot of growth in its membership. Much that is good at St. Innocent is a result of Fr. John’s careful pastorate. During his time, we were compelled to leave our rented chapel, and the congregation decided that it was time to look for a permanent home. 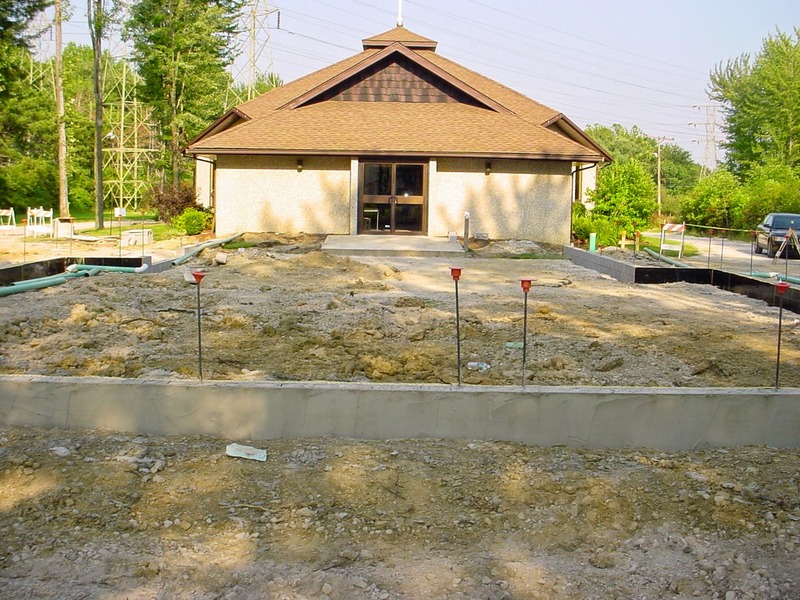 A plot of land was found in Olmsted Township, where we built our new temple in 1995. It was consecrated two years later. The mission had become a parish! In 1999 Fr. John was transferred to St Theodosius Cathedral in Cleveland. Fr. Elias Khoury served the parish for nine months, when Fr. Michael Butler was brought from Michigan to serve St Innocent. He began his pastorate in March, 2000 until summer 2014. In the last few years, St. Innocent has continued to grow spiritually, numerically and physically. We have sent eleven of our members to the mission field in Albania. Michael Timko was ordained to the Diaconate to serve the parish. We have become more actively involved in our community. Membership has increased, with newer members offering their time and gifts to the work of the church. We have built a new hall for the parish. When our patron, St Innocent, lay dying, he asked that a simple sermon be preached at his funeral on the verse from the Psalms, “The Lord guides a man in the way he should go.” May the good Lord, Who has guided us and blessed us so abundantly in the first 25 years of our life together, continue to guide us in all good things, for the glory of His Name and for the salvation of all. At the end of August 2014, Fr. 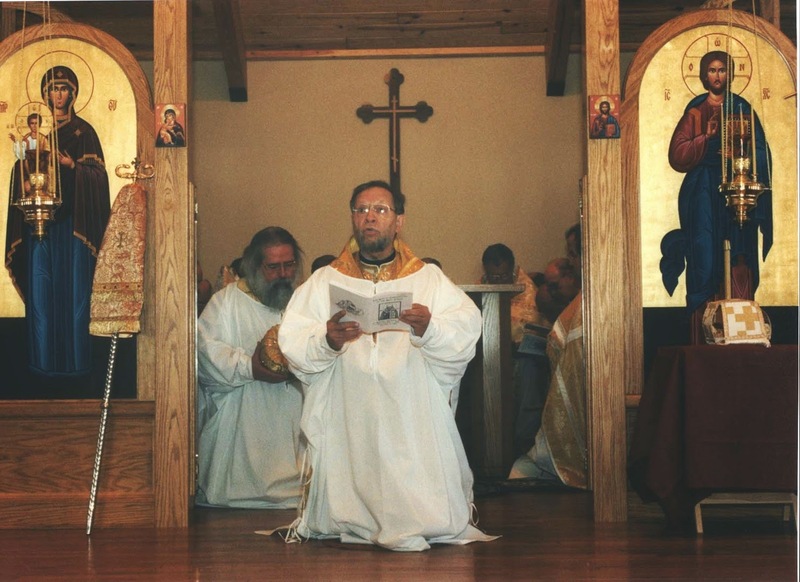 Michael Butler moved to Livonia, MI to serve at Holy Transfiguration Orthodox Church after 14 years of service in Olmsted Falls. As of September 1, 2014 Fr. Alessandro Margheritino is the new priest of our community.